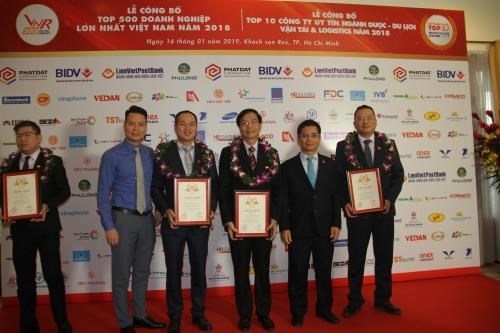 The VNR500 ranking, compiled by Vietnam Report JSC in cooperation with VietNamNet newspaper, has run for 12 consecutive years to honour the achievements of the most successful enterprises in Vietnam. PetroVietnam reported that its total volume of oil and gas exploitation amounted to 23.98 million equivalent tonnes last year, exceeding the yearly target by 5 percent. Meanwhile, the group posted an estimated revenue of 626.8 trillion VND (27 billion USD), up 25.9 percent from 2017. It contributed some 121.3 trillion VND (5.22 billion USD) to the State budget, an annual increase of 24.3 percent. Member companies of the group, including Binh Son Refining and Petrochemical JSC (BSR), PetroVietnam Gas (PV GAS), PetroVietnam Oil Corporation (PV Oil), PetroVietnam Power Corporation (PV Power), were also named in the top 50. VNR500 is based on the Fortune 500 model, which lists the top 500 US companies by revenue of the previous year. 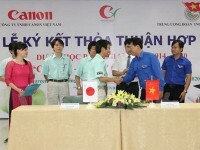 In Vietnam, the ranking of the 500 largest enterprises is based on the results of independent research and evaluation as per international standards of the Vietnam Report Company, and has been announced annually since 2007. The VNR500 rankings give people an idea of Vietnamese businesses and let the local business community recognise its position in the context of global integration, business strategy, and corporate governance. Based on this reality, enterprises can set up plans to reach out to large businesses in the region and around the world.